Last Updated: September 17, 2015 | Subscribe to our weekly newsletter! There is nothing more disappointing than heading out to your hot tub for a nice hot soak in the warm, bubbly water only to find that your jets just aren’t working. You turn on your hot tub and nothing happens and then begin to wonder what exactly you are going to do. In most cases, this is simply a problem with the hot tub air blower. 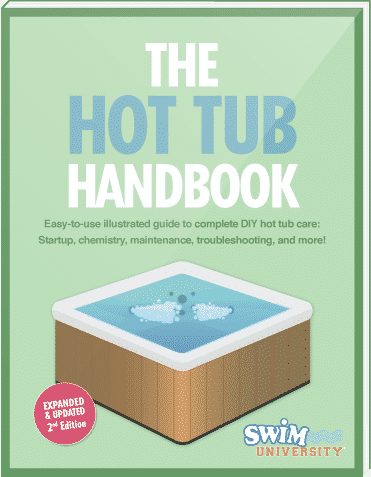 Now while that might sound like a major repair, they are actually fairly simple devices and are connected in virtually the same way on all major hot tubs. While you can always call a plumber or hot tub repair technician to your home to do it for you, you can often perform these repairs fairly easily yourself saving you a bucket of money in the process. Repairs on air blowers will often involve both water and electricity, and these two never mix well. If you are not confident that you can perform the repair safely, then please call a technician. If you do believe you can do it, then you must take a few safety precautions first. Make sure you cut all electricity to the hot tub before you even begin to remove the covers. Turn off the circuit breakers, unplug any outlets and then double check to make sure there is absolutely no power running to your hot tub before you begin. Before you start the repair, it is helpful if you know at least a little bit about how they work. They are pretty simple units, consisting of a fan motor and a housing. When replacing a hot tub air blower, it is recommended that you replace the entire assembly instead of just focusing on the motor as you won’t see a major cost savings by doing so and the repair can often be much more complicated in the long run. Air blowers can be either 110V or 220V depending on the type of hot tub you have. When purchasing a replacement part, make sure you buy the one that matches your hot tub and its electrical requirements exactly. Hot tub air blowers are usually plumbed in one of two ways. In one type the air from the blower runs to a manifold and is then distributed to smaller air lines that run to the injector jet fittings. In the other, a channel cavity is adhered to the shell of your hot tub which has holes drilled allowing the air to pass to the water. Step 1: Disconnect all the electricity. As I have already said, disconnect ANYTHING electrical running to your hot tub before you begin repairs to reduce the chance of a short or worse, a shock from your hot tub. Step 2: Locate and disconnect the faulty air blower. Open your hot tub’s equipment panel and locate the old blower assembly. Once you locate it, disconnect the air duct hose from the exhaust port and unplug the blower’s electrical cables. Next disconnect the grounding wire if your hot tub has one and then remove any mounting bolts. At this time go ahead and double check the voltage requirements by looking at the label on the old blower. Step 3: Install the new hot tub air blower. Basically, the installation is the reverse process of the removal of the old blower. First, place the new blower in exactly the same position as the old one and reconnect the mounting bolts to hold it in place. If your new blower has a grounding wire, reconnect it and then plug the electrical cables in. Finally, reconnect the air duct hose and close the equipment panel. Step 4: Turn on the electricity and test. Now that your new hot tub air blower is installed, go ahead and turn the power back on to your hot tub. Once you have restored the power, test your new air blower by turning on your hot tub. Allow it to run for a few minutes in order to make sure everything is running smoothly. As you can see, the replacement of a faulty hot tub air blower is a pretty simple repair that you can do yourself. Instead of calling a technician, order the part yourself and in just a few short minutes you can restore your hot tub back into working order. While this is a relatively simple repair, if you do not feel comfortable doing it yourself there is nothing wrong with contacting a licensed technician to help you out. After all, that is why they are there. But, if you are like me, you enjoy the satisfaction of fixing it yourself. If so, make sure you take the proper safety precautions and follow our steps closely so you can make a successful repair and get back to enjoying your hot tub the way it was meant to be.